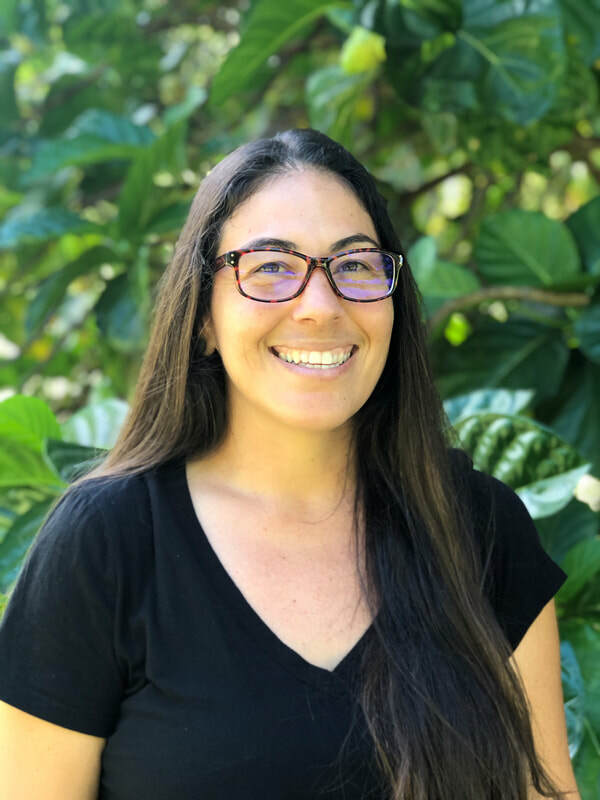 The fifth cohort, He Lua ‘Ole ‘O Mauna Loa of the Wahi Kupuna Internship Program was held in the moku (district) of Ka‘ū on Hawai‘i Island. The interns spent time orienting themselves to the place by reviewing previous ethnohistorical studies as well as joining kama‘āina John Replogle of the Nature Conservancy and Nohea Ka‘awa on several huaka‘i wahi pana. 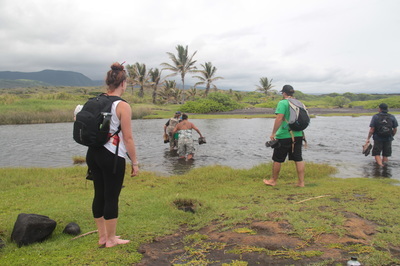 The students then spent two weeks documenting and mapping a number of cultural sites in the ahupua‘a of Punalu‘u. 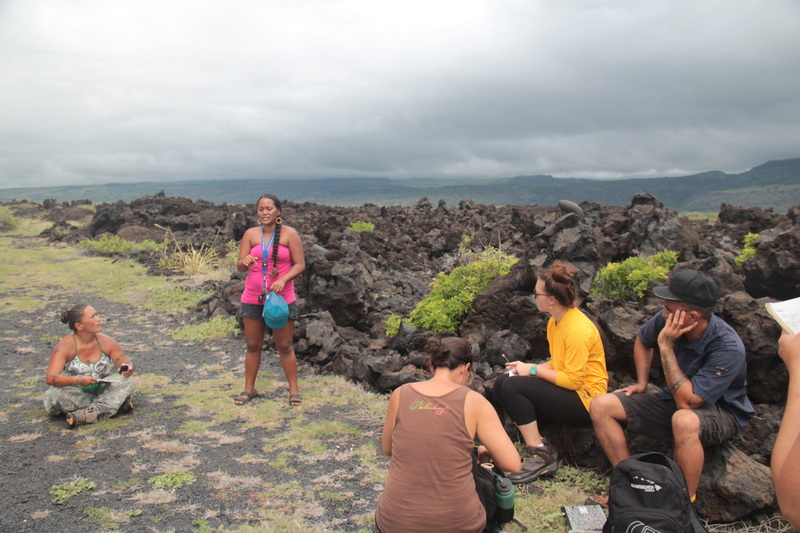 In addition to the field work, the interns engaged in learning Hawaiian protocol and cultural enrichment activities. 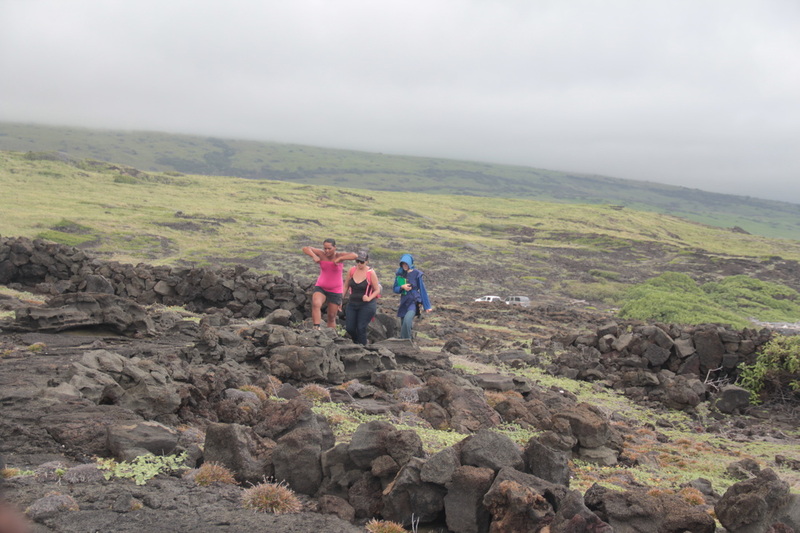 Their work culminated in a community hō‘ike as well as poster presentations at the 2014 annual Society for Hawaiian Archaeology Conference. 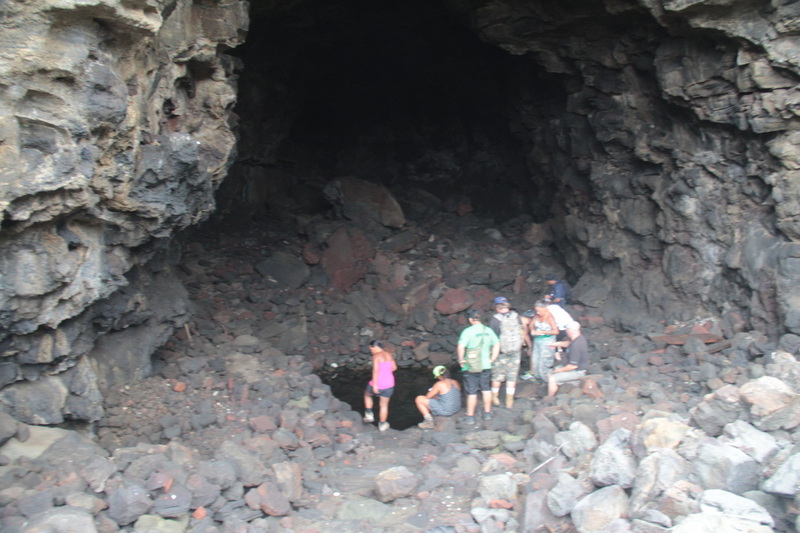 "I got to see another side of this field of anthropology. Being there for our first time mapping was fun and if we needed extra help, a mentor was right there." "I think everything I was taught was valuable. But the most important part was probably the fieldwork, from ethnographic interviews, to artifact and feature identification, to site recording techniques, because it is hard to get this training in the classroom." 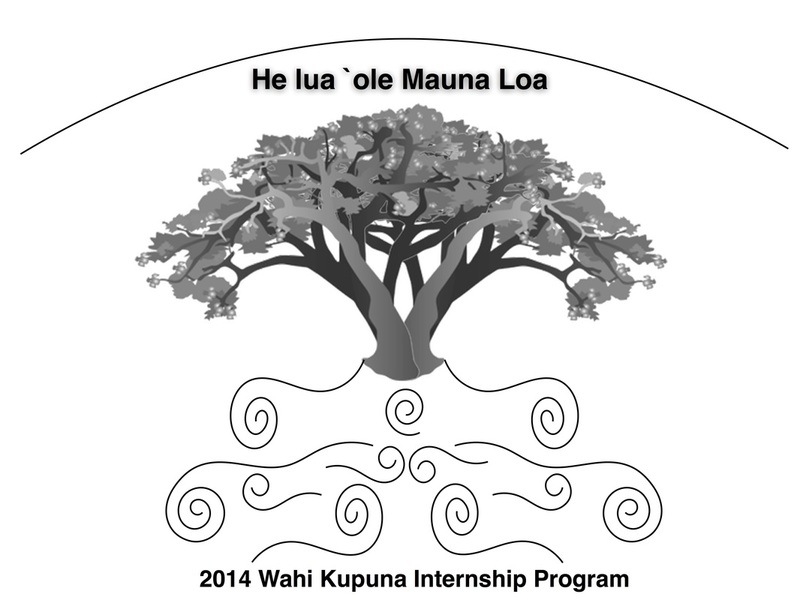 WKIP 2015 interns and alaka‘i near Punalu‘u. Top row (left to right) Hattie Gerrish, U‘i Macabio, Kēhau Puou, Kelley Uyeoka. Bottom row (left to right) Aoloa Santos, Lyle Auld and Pōlanimakamae Kahakalau.